Recently my beautiful friend Sarah from Pastel Sparkles did this tag and I thought it would be fun to do as well. This tag has 10 questions which I will also list at the bottom so if you want to do this tag as well you can just copy and paste them! 1. When did you first start getting into make up? I sort of have two answers for this, because I remember when I was a lot younger being obsessed with makeup. I distinctly remembering being IN LOVE with a grape lip balm. It died off though because my mum did labour work, so because she wasn’t wearing it, I didn’t wear it. My current obsession started in 2012 when I moved and had a work college who was also into makeup! My interest exploded, and here now I am. 2. What was the first make up you bought? Going on from my current obsession I would say it was an Estee Lauder foundation, I don’t remember what it was called but I know it is discontinued, which saddens me because it was the best colour match I ever had. 3. What is the newest/oldest items in your collection? Oldest: Maybe my Inglot eyeshadows? I don’t remember because honestly most of it is pretty new. 4. Who is your celebrity make up idol? Celebrity-celebrity, no one. I don’t really follow that world much because I don’t want to become a ‘crazy fan’, these are just my feelings towards that. YouTube-celebrity would be Nikki Tutorials, Jaclyn Hill and Glam and Gore, all for different reasons. 5. Who is your favourite YouTube guru? It’s Keerstin and Tati, they are both down to earth and tell it to you like it is. These two are about the only opinions I truly trust (in regards to YouTubers)! 6. What is a look/trend that you wish you could pull off? All the crazy lid space eye looks, my eye lids fold so I can’t replicate them. Also all the amazing dark eyeshadow makeup looks. I NEED TO PRACTICE THOSE!!! 7. Any make up disasters? 8. What’s your favourite make up brand? One brand in particular? I don’t know, I use a lot of different brands. One I do trust a lot though would be NARS, I know they can be expensive (I refuse to pay $67 dollars for the Sheer Glow Foundation), but they are worth it! 9. What is your favourite make up tip/trick that you wish you knew sooner? Matte Shadows in the crease look a lot better then a shimmer everywhere. Even though I love shimmer, a matte crease makes the shadow pop! 10. Which 5 products could you not live without? And that is everything! This was really fun and quick to do. I am so glad Sarah found this tag and shared it. If you end up doing this tag please send me a link or tag me because I would love to read it! Don’t forget I would love to hear from you if you do this tag! So even though this year February managed to slip in another day, its still flown by and so much has happened I can’t believe it! This month I also have a none beauty favourite that I have to mention because it was truly an amazing event and it deserves all the acknowledgement it can get! But first to the beauty favourites! I haven’t got as many as last month and that is mainly because I was working most of the month so I didn’t really have the chance to play around with lots of different products. Here is an overview of all the products that I have been super dooper loving this month! This month there is a bit more of a balance between high end and drug store and I am happy about that because it proves to myself that you don’t need to spend heaps of money to get amazing products! 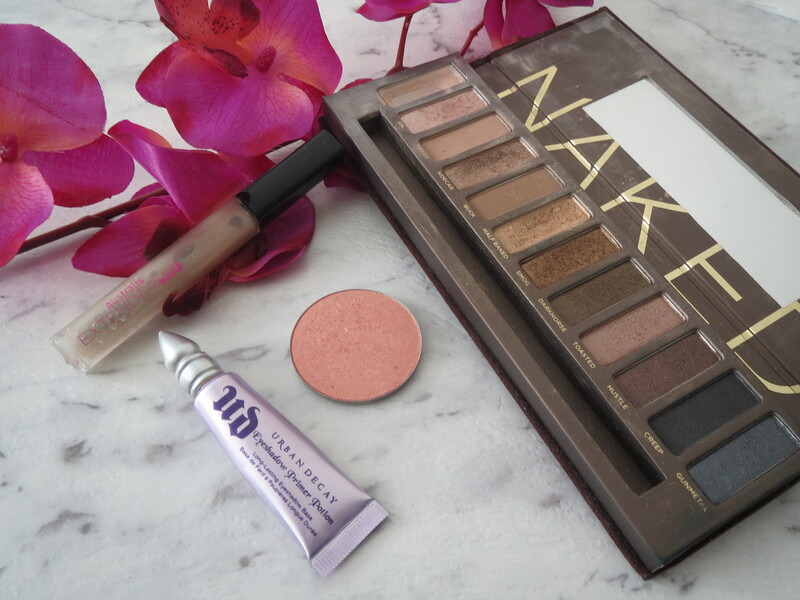 My Urban Decay Naked Palette is starting to look more and more used and I am loving it! As you can see the shade Virgin has hit pan and this makes me so excited and kinda sad at the same time! I use that shade almost daily at work just in the crease and as a brow highlight. Gotta try making getting ready for work as quick as possible and I found that this shade does that! I was using this palette constantly lately because it is just quick and easy to use, I will generally (for work) just use Virgin and another bolder shade as my lid colour and just leave it as that! It works and it looks like I have put in a bit more effort than I actually have! 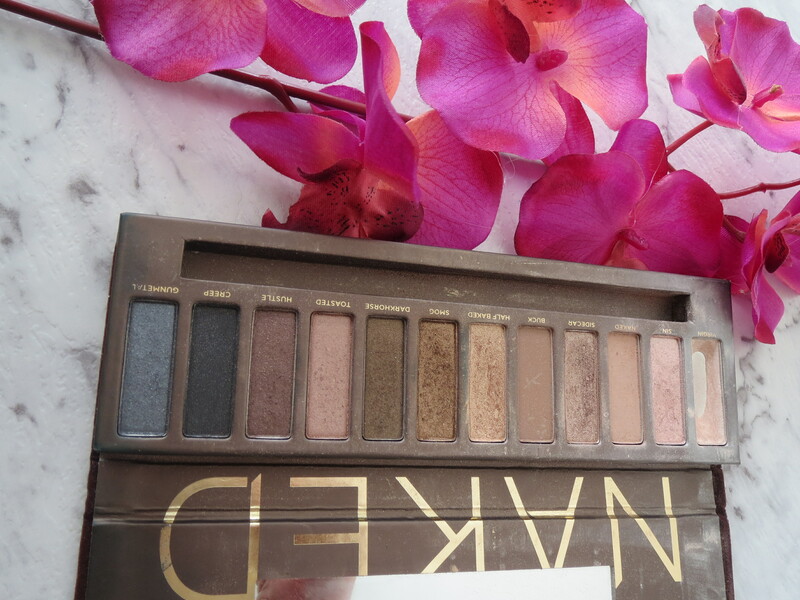 I have written a review on this palette which you can find here. This is the Australis Extender Lash and Brow. As you can see, mine is not looking so pretty anymore and this is because I use this to set my brows! 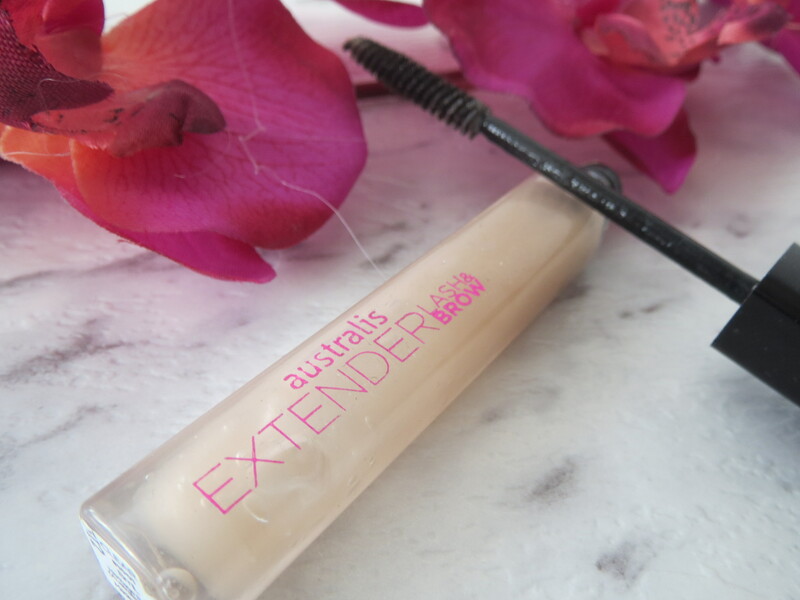 I have been using this for a long time and find that this is just as good as my ABH Clear Brow Gel which is great because this is an Australian brand and something that everyone can get from Priceline! I have really been enjoying this and will be repurchasing this when I finally think this poor product has had enough. 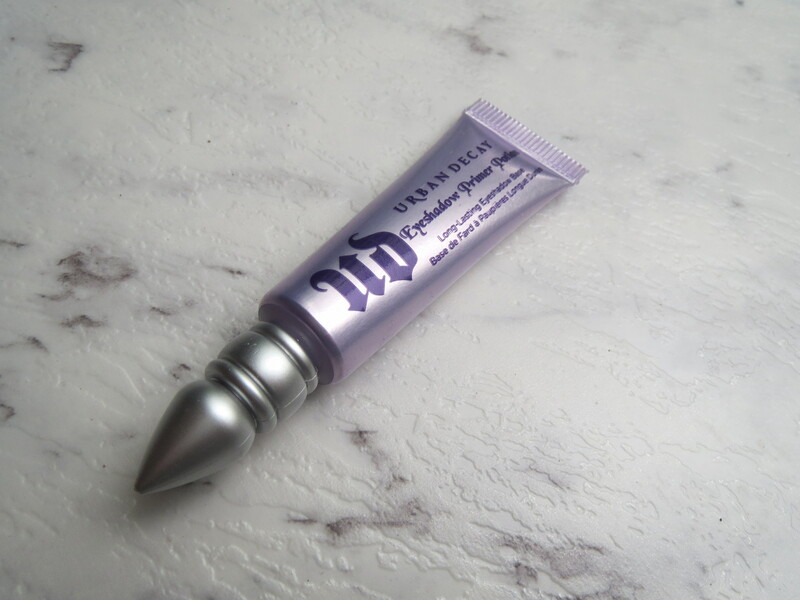 Can never forget old and faithful Urban Decay Primer Potion. I have been using this all month and love it! I think I’m starting to get to the end of it and that makes me really sad! I normally always wear this with my Inglot Gel Eyeliners but recently have just been using this by itself and my eyeshadows are still looking amazing at the end of the day even with my creasing eyes! I am super happy and will gladly repurchase this when it finally (and sadly) runs out! 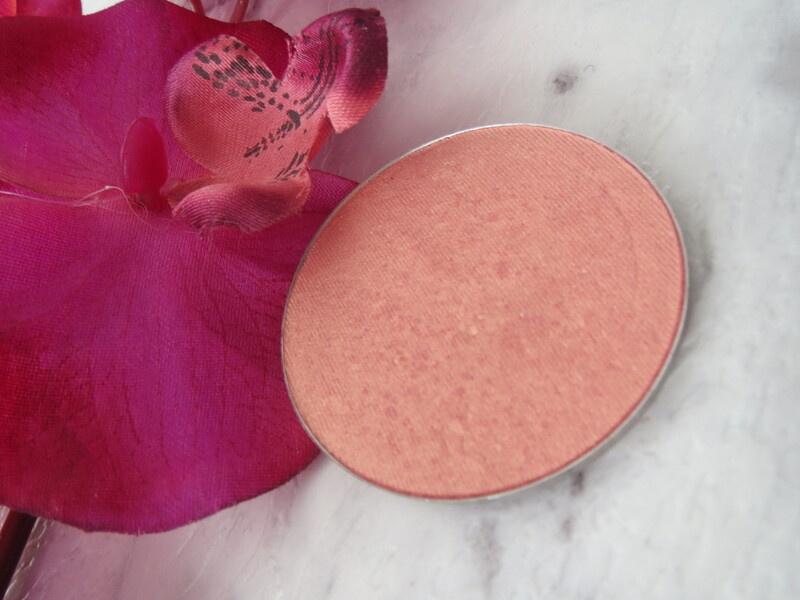 My last beauty item is this Romance Blush by Makeup Geek. I have had this for a while, but until recently when I moved it to it’s own palette I had’t used it very much, now I use it all the time and love it! It does make me interested in getting more Makeup Geek blushes but I will just have to wait and see! I find that this lasts on my skin really well and works best for days where I just want more of a natural glow rather then a full on blush look. This is super pigmented so be careful! My last favourite for the month is the event that was held by the beautiful people from Bloggers United AU. 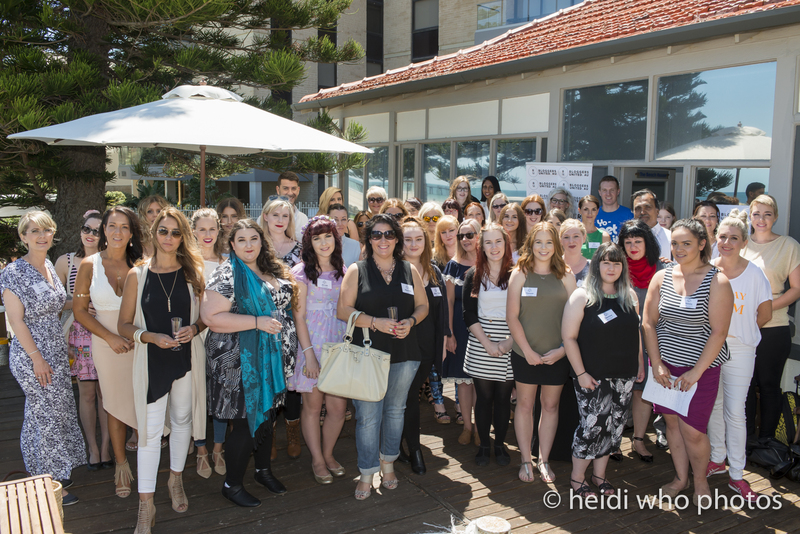 This event was held Sunday 28th Feb and it was a chance to meet up with fellow bloggers and talk to some amazing Australian Brands! I will later have a post dedicated to what happened and then throughout the next few months you will hopefully see reviews on some of the products that I received at the event! This was such an amazing opportunity to meet new people and see that there are a lot more fellow Adelaide Bloggers then we all originally thought! Here is a photo of all of us gathered together with some of the lovely people who spoke to us throughout the day! I had such an amazing time and I can’t wait to talk to you about all that went on throughout the day! And that’s it until we race through March and its time for another Monthly Favourites post! Let me know what you loved this month in the comments below!